Use this page to jump to a particular blog. 259 | Enough of the GOP purists. 258 | Blog bits and pieces. 257 | We need a leader. 256 | The real choice. 255 | First Amendment spin. 254 | Forget the labels: Get it done! 253 | The Trump plan. 252 | Senator Sanders’ big lie. 251 | Who do we need? 250 | Bernie’s version of socialism. 249 | Who will you choose? 248 | Tell us the truth. 247 | Senator Rubio is right. 246 | Things to think about. 245 | Things to think about. 244 | Things to think about. 243 | Things to think about. 242 | The real legacy. 241 | The Advisor criticizes the President’s speech. Click here. 240 | The ISIS threat in America. Click here. 239 | Immigration, a key part of transformation. Click here. 238 | Paris or here, no surprise. Click here. 237 | Newest novel, “Blood Justice,” available now. Click here. 236 | Presidential weakness or ideological conviction? Click here. 235 | If not a progressive, the president wants at least a big government guy. Click here. 234 | The Russian empire moves into the Mediterrannean. Click here. 233 | Who shuts down the government? Click here. 232 | Creating class warfare. Click here. 231 | Leading from behind. Click here. 230 | The Advisor, the President, and the Republican candidates. Click here. 229 | What happened to the Democratic Party? Click here. 228 | Getting ready to talk about the economy. Click here. 227 | The Advisor, the President, and the primaries. Click here. 226 | Are we there yet? Click here. 225 | Who takes over the transformation process? Click here. 224 | The Advisor asks the President why he doesn’t govern. Click here. 223 | The Donald and the GOP. Click here. 222 | The Advisor wants to know: Why Iran now? Click here. 221 | The Advisor asks: What made you do it? Click here. 220 | The Advisor and the President discuss the civil service. Click here. 219 | The Advisor and the President debate the rule of law. Click here. 218 | The Advisor’s turn. Click here. 217 | The Advisor reacts to the Iran nuclear agreement. Click here. 216 | The Advisor: Not the advice the President wanted. Click here. 215 | The Advisor’s turn. Click here. 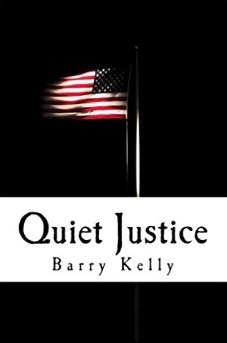 214 | A review of my fifth novel, “ISIS: Quiet Justice.” Click here. 213 | A tribute to South Carolina in the wake of the shooting deaths of nine churchgoers in Charleston. Click here. 212 | The president’s hidden legacy. Click here. 211 | The Advisor’s letter to Americans. Click here. 210 | A new adventure. 209 | The advisor has a new strategy. Click here. 208 | The advisor corrects a false narrative. Click here. 207 | The Advisor exposes a false narrative. Click here. 206 | The president talks about America. Click here. 205 | The president lectures the Advisor. Click here. 204 | The Advisor’s core facts about the Middle East. Click here. 203 | The preident tells the Advisor the truth about Iran. Click here. 202 | The Advisor – What’s with the Iran thing? Click here. 201 | The return of the Advisor. Click here. 200 | The Big Lie. Click here. 199 | A word to liberals. Click here. 198 | Another Brandon novel – not just stories. Click here. 197 | Hillary, the disappearing candidate. Click here. 196 | Consistently destructive. Click here. 195 | Picking a candidate. Click here. 194 | Act now! Click here. 193 | Transforming the world order. Click here. 192 | The facts. Nothing but the facts. Click here. 191 | Rule one. Click here. 190 | The danger to America is within. Click here. 189 | Dangerous, or just an embarrassment? Click here. 188 | Get out of the Iraqi box. Click here. 187 | “Run to Freedom” — a review of my fourth novel. Click here. 186 | Law enforcement and war. Click here. 185 | A response to the State of the Union. Click here. 184 | State of the Union spin. Click here. 183 | Obama’s world view – fantasy or reality? Click here. 182 | Watch the spin doctors. Click here. 181 | What’s wrong with America? Click here. 180 | Behind the White House door. Click here. 179 | The Brandon novels. Click here. 178 | Interrogation, the real story. Click here. 177 | Stepping Stones to Tyranny. Click here. 176 | Who is to blame? Click here. 175 | Political correctness is a virus. Click here. 174 | Why immigration now? Click here. 173 | GOP, act like a winner. Click here. 172 | Down, but not out. Click here. 171 | Wow. A response to Election 2014. Click here. 170 | Writer’s choice. Click here. 169 | Obama’s immigration web. Click here. 168 | Terrorism and You. Click here. 167 | Conservative views. Click here. 166 | Understanding the religion Click here. 165 | The GOP needs to be shaken up. Coming soon. 164 | If words were bullets and promises bombs. Click here. 163 | Trust your government? Click here. 162 |A different kind of book. Click here. 161 | Eric Holder’s end game. Click here. 160 | Facts on the ground. Click here. 159 | Flawed vision or anti-U.S. agenda? Click here. 158 | Who is to blame for our mess? Part 2. Click here. 157 | Who is to blame for our mess? Part 1. Click here. 156 | Boots on the ground over Syria. Click here. 155 | The progressive plan. Click here. 154 | Obama’s scorecard, part 2. Click here. 153 | Obama’s scorecard, part 1. Click here. 152 | Why doesn’t Obama govern? Click here. 151 | The policy needed to defeat ISIS. Click here. 150 | Shape the battlefield, a response to Obama’s speech and plan about ISIS. Click here. 149 | The GOP needs transforming. Click here. 148 | What we believe is under attack, an excerpt from my non-fiction book. Click here. 147 | A magic teleprompter. Click here. 146 | Climate control scam. Click here. 145 | Resist or resign or both? Click here. 144 | The threat of Islam. Click here. 143 | Don’t take a knife to a gunfight. Click here. 142 | Wrong picture. Click here. 141 | Kurds and ISIS. Click here. 140 | Obama and Iraq. Click here. 139 | Israel and Hamas. Click here. 138 | Protect America. Click here. 137 | Freedom of choice. Click here. 136 | The immigration issue, and a solution. Click here. 135 | Obama’s foreign policy. Click here. 134 | A break for fiction. Click here. 133 | Transformation of America and veterans. Click here. 132 | Young, hopeful, and waiting. Click here. 131 | Transformation of America and seniors. Click here. 130 | What about YOU, civil servant? Click here. 129 | Is the president inept? Click here. 128 | Obama and the military. Click here. 127 | Obama’s border. Click here. 126 | When trust fails. Click here. 125 | New map needed. Click here. 124 | A must-read. Click here. 123 | Cut off the cash. Click here. 122 | The myth. Click here. 121 | The constant president. Click here. 120 | It’s transformation, dummy. Click here. 119 | Hey GOP, listen up (again). Click here. 118 | Negotiator-in-chief. Click here. 117 | What is a progressive? Click here. 116 | Obama and the veterans. Click here. 115 | Not just stories. Click here. 114 | A dangerous tolerance. Click here. 113 | Profiling: A survival instinct. Click here. 112 | What is the score? Click here. 111 | The changing face of racism. Click here. 110 | Is this a game? Click here. 109 | Back to America. Click here. 108 | What the numbers say, or don’t say. Click here. 107 | Obama’s yard sale. Click here. 106 | Hey GOP, listen up! Click here. 105 | Law and order. Click here. 104 | Chaos in the land. Click here. 103 | Putin-Obama face-off. Click here. 102 | The GOP needs to mutiny! Click here. 101 | A coup in America? Click here. 100 | Education: Is it better or worse? Click here. 99 | How the Republican Party can win back the Senate, if only they will. Click here. 98 | Iran and the bomb. Click here. 97 | Politics in February. Click here. 96 | The Advisor — the takedown of America. Click here. 95 | Obama’s magic show. Click here. 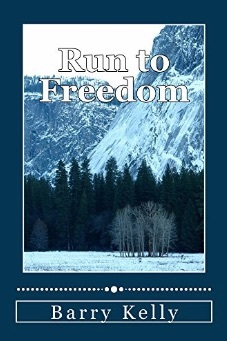 94 | My fourth novel, “Run to Freedom,” has been published! Click here. 93 | Predictions for 2014. Click here. 92 | Do you trust your government? Should you? Click here. 91 | A tribute to Nelson Mandela. Click here. 90 | Obama’s Iran. Click here. 86 | A break from the Advisor blogs brings you the prologue to my fourth novel, “Run to Freedom.” Click here. 85 | The Advisor tries to fight off loneliness, we see the first mention of “The Keepers of the Book,” and the Advisor muses about the health care fiasco. Click here. 84 | The Advisor wonders: “How can I advise this POTUS?” Click here. 83 | Beware Obama’s progressive agenda, also known as socialism. Click here. 82 | The Advisor wants to know why Obama does some things he does. Click here. 81 | Citizen beware: The President has a scary agenda, even amid a government shutdown. Click here. 80 | More of the same? Does Hilary Clinton really think she can run for president? Click here. 79 | The issue is the issue: The Advisor takes time to think about his situation with the President. Click here. 78 | Beware of the message. Click here. 77 | Obama visits the Advisor at 2 in the morning to listen instead of talk. Click here. 76 | The Advisor takes some time to record important things he’s learned about the president in the journals. Click here. 75 | The president talks about his foreign policy and his past with the advisor and doesn’t like the response he gets from the advisor. Click here. 74 | The advisor talks to the president about Russa, Syria, and warm-water ports. Click here. 73 | The president gets some advice from the Advisor on Syria. Click here. 72| Transforming America. Click here. 71| Republic or democracy? Click here. 70 | Egypt and Obama, another Advisor blog. Click here. 69 | The Advisor feels helpless to help a President who doesn’t seek him out. Click here. 68| The Advisor tries to find out what the President believes. Click here. 67 | The Advisor realizes freedoms are in danger. Click here. 66 | The President convinces himself he doesn’t need advice. Click here. 65 | The Advisor talks to the president about leading from behind. Click here. 64 | The Advisor talks about big government. Click here. 63 | All stories have a message. Click here. 62 | The president seeks advice on Ben Ghazi in the next Advisor blog. Click here. 61 | The president gets advice on the IRS scandal from the Advisor. Click here. 60 | The introduction of The Advisor. Click here. 59 | A little about India, my time there, and how it influenced part of my first book. Click here. 58 | Some thought I’d make a good teacher, but I became a spy instead. Click here. 57 | Oversight and checks and balances. Click here. 56 | What’s to be done? Click here. 55 | A different topic for me: Russia, Syria, and a warm-water port. Click here. 54 | How things work (or should) in the Obama administration. Click here. 53 | A fresh take on some of my older blogs, which are still relevant since scandal after scandal is coming out of the White House. Click here. 52 | IT MATTERS. Click here. 51 | A closer look at freedom in America. Click here. 50 | A review of my third novel, “Shades of Justice,” that ran in a local newspaper. Click here. 49 | A look at modern terrorism. Click here. 48 | Some things you should know about Obama. Click here. 47 | It is what it is. Click here. 46 | Not surprising that gun legislation failed. Click here. 45 | I take a step away from the politics to share a bit about my battle with cancer. Click here. 44 | Worse is good. Click here. 43 | New citizens. Click here. 42 | Had enough yet? Click here. 41| Lying is the issue. Click here. 40 | A tribute to Pat Boone. Click here. 39 | Obama’s flaws. Click here. 38 | Obama’s legacy; it isn’t what you think. Click here. 37 | Obama’s sequestration. Click here. 36 | More on the progression toward socialism. Click here. 35 | Obama’s war. Click here. 34 | Why you can’t believe, a response to the State of the Union. Click here. 33 | The issue is never the issue. Click here. 32 | The real bi-partisan issue. Click here. 31 | Guns: Is a real debate possible? Click here. 30 | The fiscal cliff. Click here. 29 | Utopia versus reality. Click here. 28 | Our nation is in trouble. We need leadership. Click here. 27 | The prologue to my third book, “Hard Justice.” Click here. 26 | What now? A reaction to Obama’s re-election. Click here. 25 | Before you vote, a checklist. Click here. 24 | Obama’s wall. Click here. 23 | Finally, transparency from the president. Click here. 22 | A reaction to one of the presidential debates between Romney and Obama. Click here. 21 | My personal view of President Reagan, with a picture. Click here. 20 | The point of no return. Click here. 19 | Lying, flip-flopping, and spin during an election campaign. Click here. 18 | Beyond the words of an election campaign. Click here. 17 | Where is Obama from and where is he going? Click here. 16 | A Cinderella story and a different topic than normal. It’s the story of one of my dogs, with a picture. Click here. 15 | You must pay attention when the opposition devoutly believes the end justifies the means. Click here. 14 | Vote the issues. Click here. 13 | This election (2012) is about power. Click here. 12 | The good of someone’s word, especially if those people are politicians. Click here. 11 | The prologue to my second novel, “Justice Without Mercy.” Click here. 10 | My political party position. Click here. 9 | Afghanistan. It’s time to come home. Click here. 8 | Political polarization. Click here. 7 | Digger deeper into ‘centralization.’ Click here. 6 | Centralizing management and how it is affecting and applies to our government. Click here. 5 | Leading up to the November 2012 election and the direction the Democratic Party is heading. Click here. 4 | Class warfare and the path it’s leading us down. Click here. 3 | The two pillars our government was built on. Click here. 2 | A reaction to the “underpants bomber” incident. Should terrorists be given the same rights as American criminals? Click here. 1 | My first blog, about how I published my first book after scores of rejections, and a bit about what’s next. Click here.